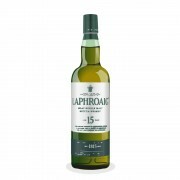 Laphroaig is my forever fighting with Ardbeg for a top spot in my heart. But Ardbeg has taken upon itself to disappoint me more often than not which means I instinctively take refuge in the arms of the other Islay giant. After having checked my records I realized that Laphroaig is by far my highest reviewed distillery and I also own the most number of it's bottles too. A little more than Ardbeg. Just goes to show how much I enjoy this 'most richly flavoured of all Scotch whiskies'. 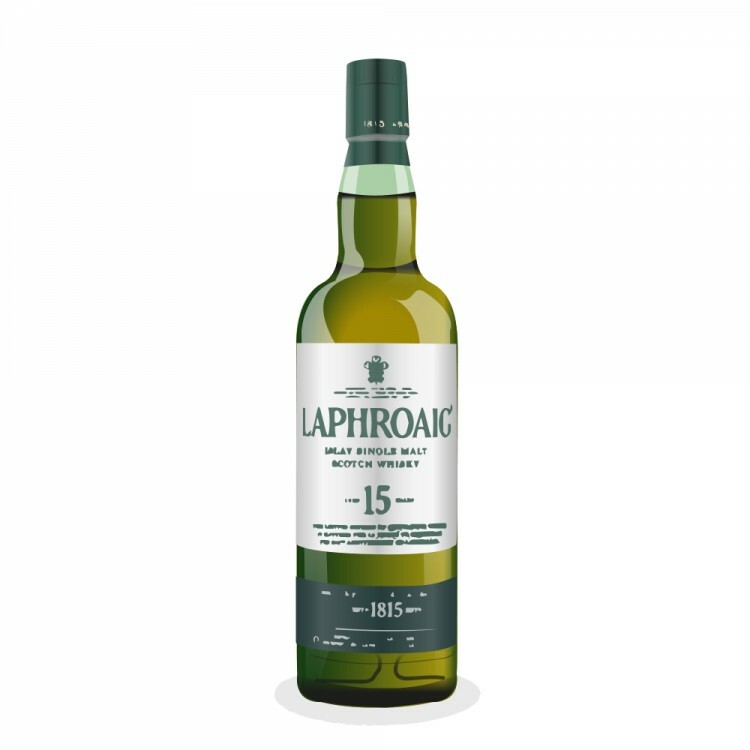 The 15 has had a bit of a bad rep. Before I tasted one (a few years ago) there were some who hated it, some who loved and some who were totally indifferent. I ended up being in the latter group. It didn't exactly set my world on fire and I was happy to let it sit on my shelf for eternity. Someone then gifted me a more recent bottling (2013) and I just had to see whether they'd made any inroads into improving it. This is after the whole hue and cry of it being discontinued and people throwing themselves off cliffs in grief. Well, let me tell you something. I think something might have happened here. Five years after being discontinued in 2008 a fresh new spirit was introduced, complete with new label, which I suspect has some much older vintages in it than Laphroaig is letting on. Nose: Quite fruity. Some apples. Some pears. All shrouded in delicate smoke. Quite green. Coriander. Some herbs. Garam masala. Mild lemon. Lime. Citrus. Hint of iodine. Coastal sea salt. Fishnets. Brine. I like the nose. Palate: Hint of sweetness. Mild smoke. Nutmeg. Some citrus. More pineapple than lemon. A touch of char. Dry leaves. The nose does better. Finish: Took a while to stick. Some smoke. Hint of spice. Overall I think this is a decent whisky. I am not crazy about it but maybe because I expect huge flavors from Islay whiskies especially this distillery and this one decides it's a good idea to hold back a touch. I'm sure this decision garners it more fans. Good on them! Well, a $ 120 bottle rating 85 pts still does not show a lot of promise, compared to, say, a $ 70 bottle of Laphroaig 10 Cask Strength. @MaltActivist, thanks very much for reviewing this. In my opinion even if the prices were reversed the CS is still a better deal.